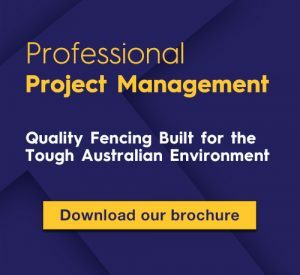 Ensuring your new security fence is installed properly, with the right materials and within the project timelines requires careful coordination. When you book a fencing project with K-Line Fencing Group, you will be granted a dedicated K-Line project manager. Our project managers have experience in the installation of security fencing solutions for commercial, industrial, church, school and council properties such as parks, reserves and ovals. Not every installation comes with end-to-end project management. Book in with the fencing specialists that do.